Amelie, Sue and Helga performed waiata. Photos Tessa O’Shea. Students of te reo Māori and waiata classes came together for a hākari at Piritahi Marae on Saturday 6 April to celebrate a successful term. Pita Mahaki led a pōwhiri which was followed by a cup of tea and then a performance. “Members of the te reo classes introduced the songs and then the waiata class sang the songs,” says teacher Jan Newton. In the waiata class, students learn the meaning behind the songs they are singing. 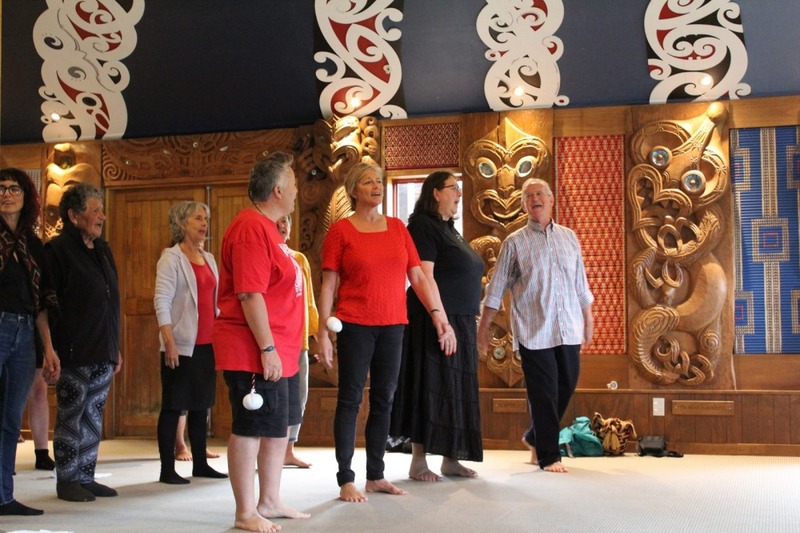 “People said the explanations allowed them to connect with the songs,” says Jan.
“There were a lot of people there from previous classes who enjoyed singing the waiata again,” he says. The singing was followed by a meal which he says was fantastic. Jan says that classes will continue next term. 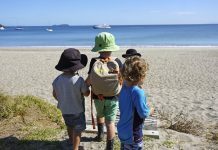 The Waiheke Waiata class begins on Monday 6 May and Everyday Te Reo Māori begins on Thursday 9 May. 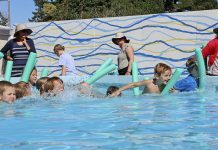 Both classes take place at Waiheke Adult Learning. “We’re encouraging people to come to the language class in pairs so they can practise during the week,” says Jan.